The most important events of the month. The past month saw a record in the number of meetings between Aliaksandr Lukashenka and Vladimir Putin, both during multilateral events and bilateral meetings. The meetings took place with a very nervous information background: Russia, in fact, launched an information and psychological operation against the official Minsk, disseminating fakes about the supposedly imminent annexation of Belarus by Russia. As expected, none of the problematic issues was resolved. 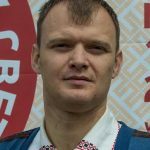 The Belarusian-Russian contradictions have moved into the plane of interpersonal relations between the leaders of the two countries. 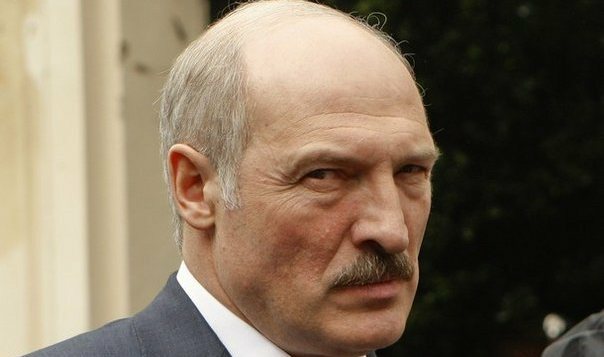 Lukashenka obviously began to prepare public opinion for the fact that it would not be possible to reach an agreement with Moscow. Acknowledging the seriousness of possible monetary losses from changes in taxation in the Russian oil sector, President Lukashenka said that this would not be a catastrophe for the country. But it will take “… to reformat to some extent our domestic, foreign policy”. Reformatting rather implies the development of cooperation with international financial institutions and the normalization of relations with the West and, above all, with Washington. But this does not call into question the preservation of participation in integration associations under the auspices of Moscow: Minsk will continue to further demonstrate external loyalty and use “fraternal” rhetoric. The developments within the month. In early December, the Belarusian military industrial complex took part in the Cairo exhibition of defence industry and armaments EDEX-2018. Belarusian weapons, radars, electronic UAV countermeasures, armoured vehicles, projects to modernize air defence systems and air-to-air guided missiles, optoelectronic systems for armoured vehicles and small arms were demonstrated. The Belarusian delegation was headed by Raman Halouchanka, State Military Industrial Committee (SMIC) Chairman. He held a series of talks with the Egyptian Minister of Defence Industry Mohammed Said Al-Asar and a number of foreign delegations. December 6, 2018, the second meeting of the Belarusian-Polish subcommittee on rescue and protection of the population in emergency situations, operating in the framework of the intergovernmental commission on cross-border cooperation, was held. Among other things, the parties discussed the prospects for the preparation and implementation of joint projects in the framework of international technical assistance programs, the exchange of experience in the field of emergency prevention and response in large cities. December 7, 2018, the summit of the countries of the Eurasian Economic Union was held. Within its framework there was an unsuccessful attempt to agree on the candidacy of a new Secretary General of the Collective Security Treaty Organization (CSTO). Armenia was virtually isolated, the rest of the participating countries supported the candidacy of State Secretary of the Security Council of Belarus Stanislau Zas as the new head of the CSTO. Obviously, this would have been impossible without the necessary position of the Kremlin. On December 12-13, a working meeting of the heads of operational and combat training of the defence ministries of the CSTO member-states on improving the system of joint training of command bodies and the collective security system of the Organization was held at the CSTO Joint Staff. It was determined that in 2019 the joint operational-strategic exercise “Combat Brotherhood-2019” will be held in the East European (i.e. Belarus and western regions of Russia) and Central Asian regions of collective security. — Russia refused to provide Belarusian combat aircraft for free. As far as we know, we are talking not only about the new-built aircraft, but also about the Su-30MKI, previously operated by Indian air forces, which were returned by Delhi to Russia, repaired and modernized in Belarus and then resold by Rosoboronexport to Angola. On December 16-19, General Zubair Mahmoud Hayat, Chairman of the Joint Chiefs of Staff of the Armed Forces of Pakistan, visited Belarus. The delegation met and negotiated with the Ministers of Defence and Foreign Affairs of Belarus, during which they discussed the development of bilateral military and trade economic cooperation. The Pakistani delegation also held meetings with the SMIC top-management, visited the Military Academy, got acquainted with the products of the enterprises of the military-industrial complex of Belarus. On December 17, 2018, meeting General Hayat, President Lukashenka declared his readiness to develop economic and military-technical cooperation with Pakistan. It is about both the supply of products from Belarus, and the creation of joint ventures. At the same time, the head of Belarus was unable to conceal that one of the main reasons for the interest of General Hayat’s visit was the role the army plays in the Pakistani economy. In addition, the economic relations of Belarus and Pakistan with China were discussed. On December 19, 2018 President of Russia Vladimir Putin approved the draft military doctrine of the so-called “Union state” of Belarus and Russia. Earlier, the project was approved by Belarus. The document is still subject to approval by the Supreme State Council of the Belarusian-Russian Union and has not yet been published. In the period from October 22 to December 20, SMIC together with the Ministry of Defence and the National Academy of Sciences of Belarus organized training for flight managers and drone drone operators of the UAV. In particular — on the practical application of equipment. The Ministry of Defence got the necessary ammunition, range equipment and created a target situation. UAVs “Busel-MB”, “Quadro-1600” and “Flying Tube” were tested. On December 19-20, at the Barysau military range, control tests to check the readiness of the UAV operators were conducted. They were watched by representatives of the Security Council, SMIC and the Ministry of Defence. According to the results of the trainings, the prototypes of the combat drones were upgraded and improved. On December 21, 2018, under the chairmanship of the Prosecutor General of Belarus Aliasksandr Kanyuk, a coordination meeting on combating crime and corruption was held. The issues of improving the effectiveness of prevention of corruption in state bodies and organizations, as well as “… the development of non-standard solutions for successful countering corruption” were discussed. Deputy State Secretary of the Security Council Andrei Utsyurin, KGB Chairman Valery Vakulchyk, Chairman of the Investigative Committee Ivan Naskevich, Head of the Operations and Analysis Center Andrei Paulyuchenka, Head of the Presidential Administration Natalia Kachanava, Chairman of the Supreme Court Valiantsin Sukala and other high-ranking officials attended the event. — On December 20, 2018 Aliaksandr Lukashenka held a meeting with Minsk officials. But this is only the tip of the iceberg. In December, anti-corruption events were held with the participation of district level officials. 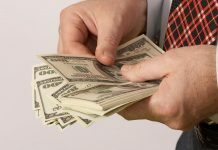 In the Homiel region alone, at the initiative of the prosecutor’s office, 22 meetings of district executive committees to combat corruption in the system of local authorities were held. Before the beginning of each meeting, its participants watched a thematic video, where convicted corrupt officials told about the severity of the punishment suffered. 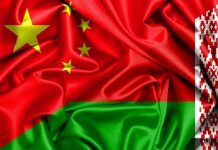 At the end of December, it was announced that the export of goods and services by enterprises of the Belarusian SMIC in 2018 amounted to USD 1.027 billion, having increased from USD 960 million in 2017. The prosecutor’s office continued to carry out activities for the prevention of offenses among military personnel: only the head of the department for overseeing the implementation of legislation among the troops of the Prosecutor General Office Mikalai Apalkou visited more than 50 military units and institutions last year. 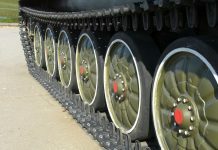 In December, prosecutors checked the conditions of service and life of the servicemen of the Hrodna garrison, as well as the 11th mechanized brigade. During the speech to the servicemen, the representatives of the prosecutor’s office told about the state of legality in the troops, the prevention of crimes and offenses, the responsibility for military crimes. The Prosecutor of the Mahiliou region, Aliaksandr Chadziuk, held a meeting with the commanders of all military units (including the Interior Troops of the Ministry of Internal Affairs) deployed in the region. The event was devoted to the maintenance of law and order among military personnel, the discussion of violations of legislation in the military sphere identified by the regional prosecutor’s office in 2018. As a result of the meeting, concrete steps to strengthen military discipline and law and order were developed. Their execution was entrusted to the commanders of military units. Conclusions. It is obvious that Moscow has finally made the decision to abandon the exclusive status of Belarusian-Russian relations. At the same time, the task is to preserve the relative loyalty of the official Minsk, but for much less money. The talks about the Kremlin’s alleged annexation of Belarus are used to execute pressure on Belarus and as a mirage of a threat that should prevent the hypothetical (but practically unlikely) geopolitical reversal of official Minsk. The reduction of Russian support has both objective reasons (the compression of the resources available to the Kremlin), and is a punish for the official Minsk for insufficient loyalty in various fields. In addition, many actors in the Russian top bureaucracy have a personal dislike for Aliaksandr Lukashenka. The figure of the new CSTO Secretary General has become an internal political problem for Armenia. And therefore, given the obvious tensions with regard to Yerevan and Moscow, the new Armenian authorities will find it extremely difficult to reconcile with the loss of the post of CSTO head without losing face in the domestic arena. The delay in signing the agreement with Russia on the mutual recognition of visas by Belarus indicates the absence in the document of the provisions that are essential for Minsk. Not excluding the sincerity of Lukashenka’s sympathy for the head of Chechnya, it is worth noting that the official Minsk almost lost lobbying opportunities in the Kremlin after 2014. Ramzan Kadyrov, although formally he is the leader of one of the Russian regions, in fact has a federal weight. He may be interesting as a potential lobbyist of the official Minsk in the Kremlin. After the removal of the former Prime Minister of Pakistan Nawaz Sharif from power, the Belarusian-Pakistani relations to a certain extent were paused. This was due to the fact that the official Minsk traditionally pays great attention to interpersonal relations at the highest level, considering it as the basis of interstate relations. However, interest in Pakistan is strategic, regardless of who is in power there. Belarus consistently demonstrates intentions to move along the path of developing cooperation with Islamabad. It is difficult to say how effective Belarus-Pakistan trade and economic relations will be. But cooperation in the military-industrial complex has prospects. Including on the part of deliveries of certain types of military products from Pakistan to Belarus. It should be noted that, unlike Belarus, in Pakistan the visit of General Hayat to Minsk did not arouse much interest. Obviously, the trip was introductory and did not imply the achievement of specific agreements on cooperation. Speaking about the training of UAV operators, the following points should be noted. First of all, employees of manufacturing companies, not military personnel, acted as flight managers and operators. This means that used UAVs were not put into service. Secondly, judging by the list of state administration bodies that observed the practical part of the event, the issue of supplying the military with combat UAVs is the top priority. The concrete result should be demonstrated as soon as possible. President Lukashenka is waiting for this result personally. Thirdly, neither “Bur” nor “Burevestnik” UAVs were involved in the tests. They were previously positioned as promising samples of Belarusian-made attack unmanned aerial vehicles. Obviously, the reason is their technical not readiness and the inability to eliminate existing shortcomings in a short time. A big number of anti-corruption meetings with local government bodies in December, in addition to preventing corruption, have a more general goal: to increase the controllability of the vertical of power and executive discipline. It is doubtful that the intimidation gave a lasting and positive effect. The need for disciplining bureaucracy can be associated both with an objective need to improve the quality of state administration in the localities, as well as the need to consolidate the management vertical around Aliaksandr Lukashenka. This could be connected with the upcoming electoral campaign and / or the complication of the socio-economic and political situation in the country. The latter may be caused by confusions in the relations of Minsk and Moscow. Which only confirms the thesis about the depth of the contradictions between the formal allies. It is necessary to recall that in 2017, exports of the entire military industry of Belarus exceeded USD 1 billion. Thus, the share of SMIC enterprises may account for over 90% of exports of the national defence industry. At the same time, about 40% of deliveries of SMIC enterprises accounted for the export of services: first of all, we are talking about intermediary services in the field of trade in military products and the sale of the “Belintersat” communications satellite resource.